Este hermoso y moderno apartamento espacioso en el primer piso está ubicado en East Oxford, tiene capacidad para 6 personas. Ideal para los que comparten, ser contratistas, visitantes de Oxford o una familia pequeña. El apartamento cuenta con una cocina / comedor / sala de estar de planta abierta, 2 dormitorios dobles, un dormitorio principal con baño en suite y un baño familiar. Desde el apartamento tiene fácil acceso a la planta BMW y a los parques empresariales locales. Con una corta caminata a Cowley Road, podrá encontrar autobuses frecuentes hacia el centro de Oxford y también a los hospitales JR, Nuffield y Churchill. We enjoyed our 6-night stay in this clean apartment. It is very well located near the bus line into Oxford, about a 15-minute ride. The owner was extremely attentive and responded to our questions and requests immediately. We are seasoned travelers and appreciate this kind of accommodation which is non-cluttered and tidy. Overall, a fine rental! 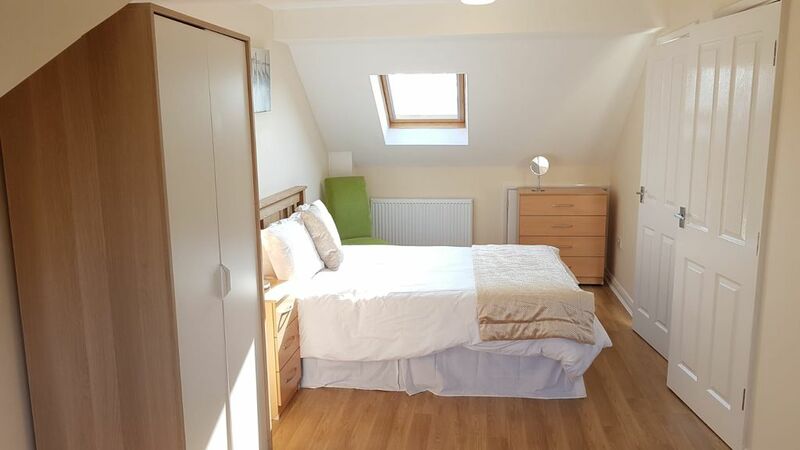 Top floor maisonette in Oxford, very quiet and well located for about a 7 minute bus ride to centre. Good off road parking. All mod cons and beds very comfortable. Velma was very prompt in replacing a couple of domestic items- light bulb and leaky kettle. Suits 2 couples wanting separate bathrooms. This accommodation was spotlessly clean and tidy and catered to all our needs. Communication with the owner was also very good. We will definitely be booking again. Thank you Jody, it was a pleasure to host you! You were the perfect guests and we look forward to hosting you again in the future. I would highly recommend you to other hosts.